Farmer Automatic – economically viable animal farming for the future. For 45 years, Farmer Automatic has been developing efficient, innovative systems for animal farming and waste management while keeping the demands of the market in sight. 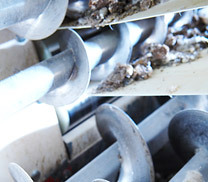 We accompany our customers individually from planning through to maintenance services. Our high number of self-manufactured products allows us to develop systems specifically adapted to our customer`s requirements. As a family business, Farmer Automatic is particularly committed to providing solutions derived from tradition and innovation. Farmer Automatic of America, Inc. and Farmer Automatic Josef Kühlmann GmbH celebrate 45 years in the poultry industry. The name 'Farmer Automatic' has become synonymous with ingenuity, provided by generations of engineers. Our goal has always been to make feeding, watering, manure disposal, and egg collecting easier and more cost effective for you. Josef Kühlmann and his younger brother, Heinrich, founded Kühlmann in 1962 following the development of an automatic laying nest. Under the number 1159208, this world novelty was registered on November 11, 1961 with the German Patent Office in Munich. Many national and international patents followed. The youngest Kühlmann sibling, Antonius, was trained in engineering. Together with his brothers he is responsible for the product research and development. William Moeller, a native of Cuxhaven, Germany, and his wife Margaret moved to the United States in 19--. In 1957 they purchased an old chicken farm in Washington, Maine. He became a poultry-farming enthusiast and is credited with designing a trolley system to make feeding and egg collection easier. His interest in pursuing other innovative techniques initiated his lifelong collaboration with Kühlmann. William nicknamed Josef Kühlmann 'Farmer Automatic.' Josef liked the name so much that he asked permission to use it as a company title. By 1967, Farmer Automatic laying nest equipment was installed on William's farm. Immediately, public interest developed and the United States market boomed. Heinrich chose to make the United States a primary company interest, providing customer service for the entire industry. In 1971, William moved his family south to Statesboro, Georgia. He built up a new farm and installed the first Farmer Automatic laying battery. The Farmer Automatic of America central office still resides in Statesboro. At William's retirement in 1981, a new president for the US division was named. Ludger Große Hülsewiesche brought the company's sales and world relations to new heights. 'Louie' earned a degree in mechanical engineering in 1976 and married William's daughter, Susan. 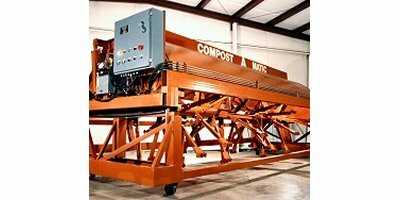 Expansion of the US central office for the production of compost systems followed shortly thereafter. 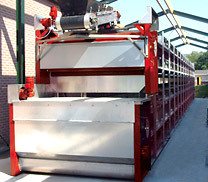 The Farmer Automatic cage equipment had been in production for 25 years at this point, selling one million nesting units. World market expansion had become so promising, independent representations in the individual countries gained responsibility for marketing and service for Farmer Automatic products in their area. Farmer Automatic products quickly sold throughout Europe, and Japan began expressing interests. However, there was a challenge in convincing the Japanese to import the equipment. At the Nagoya poultry trade fair in 1988, Farmer Automatic was able to gain the Ishii-group as an independent representation for the Japanese market. In a short time, Japan had become the second largest customer country after the USA. The year 1990 led to farms opening in the former Soviet-Union, despite their political and economic circumstances. 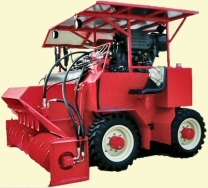 Mutual business relations continue to be satisfactory, adding developments for equipment sales there. Production of the Farmer Automatic equipment became such a large endeavor that a 2,500 square meter warehouse was erected in 1970-71. A second production hall was added in 1977, followed by an office building in 1981. 1989 and 1990 brought a third and fourth hall, resulting in a current floor production area of more than 10,000 square feet. Today, most of the equipment production is performed by self-automated CNC and robotics machinery. In the beginning of production, Kühlmann built their own simple development machinery - one of which is still in use. 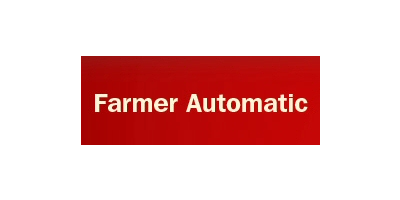 Production processes continuously advance for Farmer Automatic. Kühlmann started with pencil sketches of all their equipment. Now, we incorporate the latest CAD techniques for constructional design.